The answer to this is a ready-to-launch website. 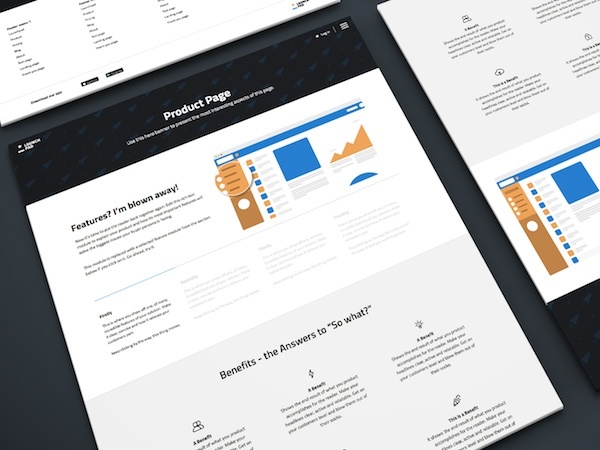 An already designed and configured template, just waiting for you to add content to it. 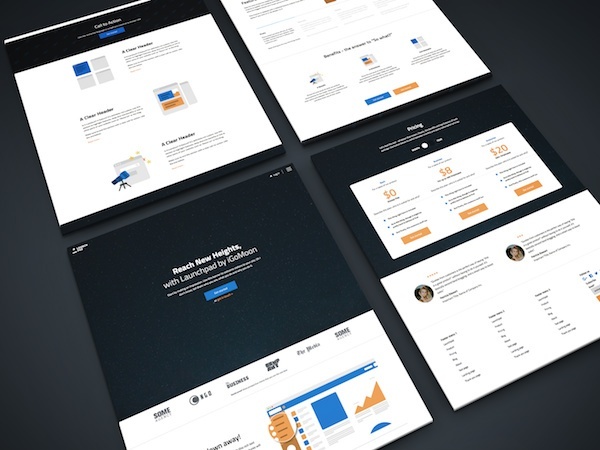 In other words: our HubSpot Launchpad Template. We've already described it here, but let's take a recap anyway? What is a HubSpot Launchpad Template? 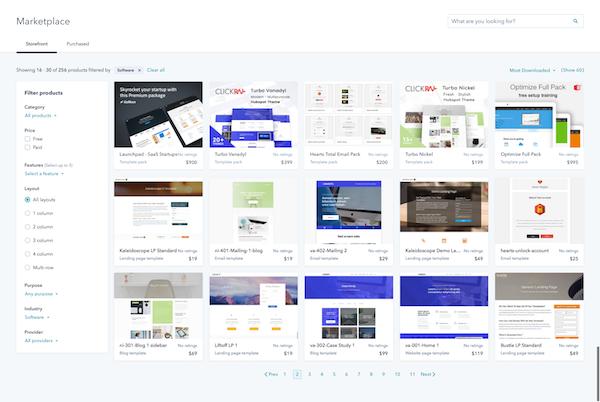 As a HubSpot partner, you have the opportunity (and possibility) to build and sell website templates through HubSpot's own so-called Marketplace. That means, if a company simply lacks the time and money to hire an agency to do all the work that is required to build a brand new website from scratch (which means spending time on workshops and late night discussions about design, logos and whatnot) they can just go to the Marketplace and buy themselves a ready-to-launch-site. At the Marketplace, there's a number of different templates available for companies and organizations to go bananas among. Maybe you're in the e-commerce business? Or maybe you're working with communication and marketing? Or customer services? The list goes on. Our own HubSpot template was created with SaaS companies in mind, who need to get a website up and running faster than Speedy Gonzales. They are looking to either have a website online while they're working on their Minimum Viable Product, or they want a website that can go live at the exact same moment as the company is launching their new product. Simply put: they want to make sure that their website is ready when their product is. This launchpad of ours is based upon all of the experience we have gathered from building websites in general (and there have been a lot of websites, trust me), as well as our experience of working with startups and SaaS companies in particular. We know what they need and what they are looking for. 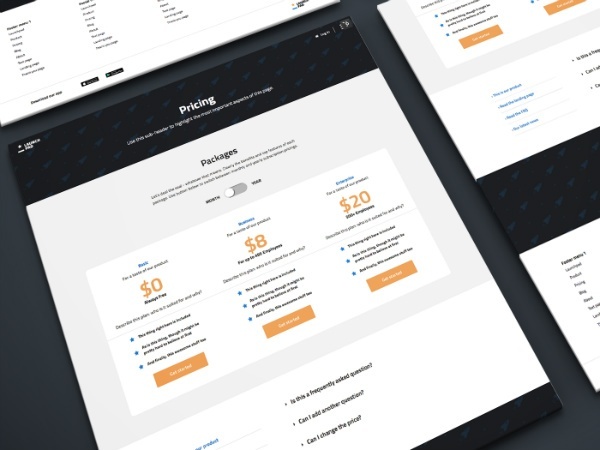 Our Launchpad is a complete website package for HubSpot, and it consists of 18 simple but exemplary templates customized for SaaS companies. Its drag and drop functionality makes it super easy to use, but you can also match the design elements as you please. So in a way, it's like 500 websites in one. Strictly design and functionality speaking, that is. But more specifically: you can move modules around as you wish, add different kinds of elements such as headlines, pictures and forms, and you can style with whatever colours and fonts you need to match your company's unique brand. In other words, our website templates are so flexible that you can tweak them to suit you perfectly! Additionally, you can easily use the pages for something other than their original purpose. For example, a product template is designed to showcase your product in an exemplary fashion, but you might as well make it a page describing why your solution is the best one out there. All that is required is a few text and image adjustments. Similarly, a plain text page template can be duplicated and turned into say 897 different sub pages that all describe your services and your business. So we might say that the Launchpad consists of 18 templates, but with just a few minor adjustments, you can get a vast number of pages. On top of this, you can also get help directly from us at iGoMoon, so you're guaranteed to get started asap with your new template. That means we'll be available on an hourly basis, and we'll either help you launch your entire site if you're unsure about how to do it yourself, or we'll just adjust and tailor the template to your needs (maybe even some uniquely customized structures or modules etc). If you're interested in some tips and tricks, or just want to get a closer look at how you can adjust our templates, you can check out some "How to" blog posts right here. What do customers think about our HubSpot Launchpad? 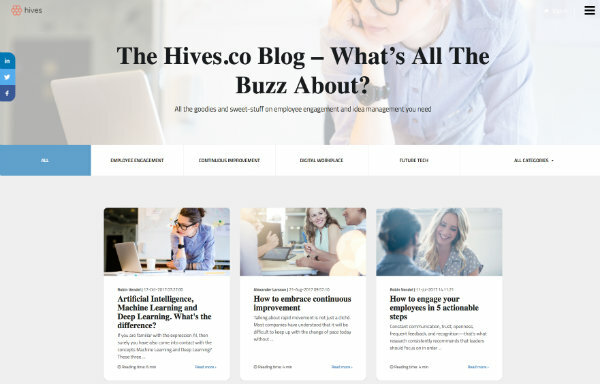 Swedish Hives is a relatively new company that wants to help other companies with idea management and the curating of these. 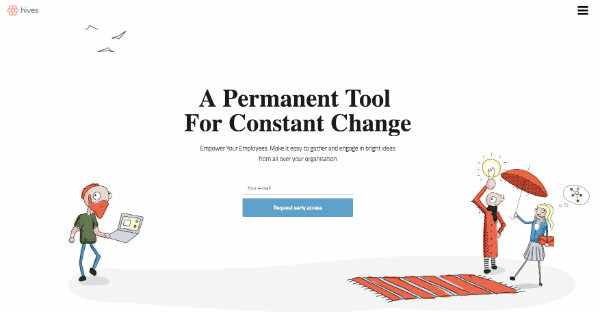 They sell an easy-to-use tool in which employees can quickly write down and publish improvement ideas for the rest of the organization to see. The users then interact with each other by commenting, liking and rating suggestions. Management can then choose to incorporate the ideas that get the best rating and the highest level of commitment. 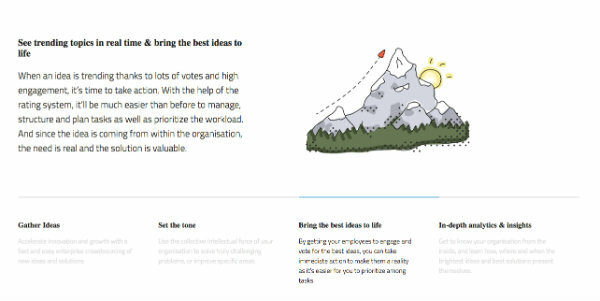 So the tool makes it easy for employees to contribute, and it helps management to prioritize tasks and suggestions so that they know which one to implement first. Win-win! I really like that the template is “ready-to-launch” immediately, so you can get things up and running asap. It’s also great that you can adapt and customize both design and functions to fit your own needs! Hives wanted a website that could show the benefits of their tool in a nice and smooth way, while at the same time being straightforward and easy to navigate. They also wanted simple and clear conversion opportunities to encourage people to sign up for a demo. Enter: iGoMoon SaaS Launchpad. 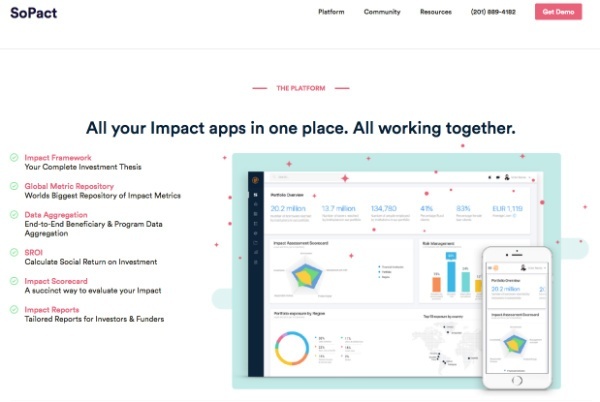 US SoPact wants to make the world a better place through co-creating a globally accepted impact measurement and management framework streamlining cross-sector efforts. 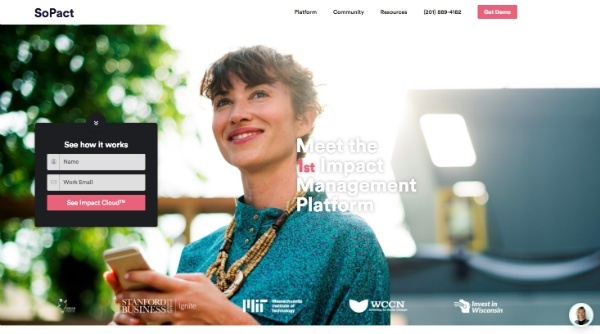 Their platform enables Investment Funds to deploy capital in sustainable investments across the Globe by managing the Social Impact across their entire portfolio. The LaunchPad Template can be considered as a work of Modern Art in Technology. No hyperbole. This is as Good as Hubspot Gets. #MustHave. SoPact needed to get started quickly and were looking for a template that could match their need to showcase their tool in the best way. They also wanted it to be flexible enough for them to customize it on their own. In addition to our template, they also chose to use our expertise directly by asking us to help them out with adjustments and various customized solutions. British Solarvista was using a HubSpot site to which they had migrated all of their previous content, but now felt it was time to update and modernize the look of their website. More specifically, they were looking for a template that had both a more contemporary design, but that would also let them customize and tailor it so much that they could build a brand new site with our template as a basis. 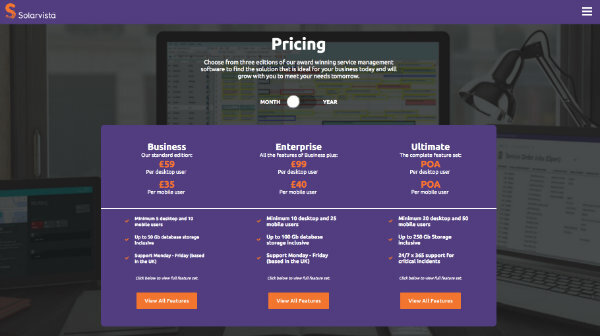 In addition, our "Pricing page" was just what they were looking for. So this was a customer who was more interested in being able to develop and level up on their own, without necessarily bringing in so much help from us. And obviously, that worked out just fine too.